The Baron Group is a professional entertainment group that is managed and operated by a team of dynamic professionals. We ensure that quality and service to our clientele is fast and efficient, and of the highest standard. The Baron & Quail restaurant first opened for business in 1993. The driving force behind its success has been Barry Twiss. The proprietors have their roots based in a strong family environment. The firm foundation of strong family values has transformed the group into the formidable market leader it is today. "from family comes pride and from pride comes excellence" From invaluable experience gained in the Baron & Quail, and as a result of a burgeoning reputation for quality and value, Barry mooted the idea of franchising. Since the opening of the first franchise in 1994, the Baron reputation and ethic has spread far and wide. Together with the firm support of family, friends, loyal staff and, of course, our valued patrons, Barry has led by example. They are personally involved on a daily basis with each franchisee, guiding, training and maintaining standards of operation. The ethic of the entire head office staff is one of "getting their hands dirty", assistance in problem solving, guidance and training is hands-on, with constructive involvement at store level, and personal attention to any issue at hand. 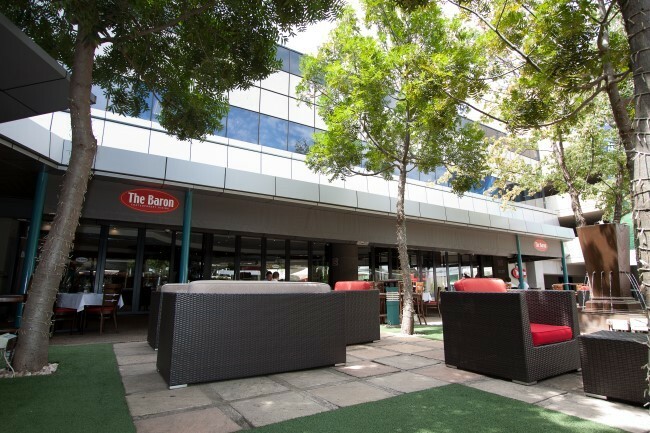 Whether it is a draught beer or a succulent steak, the Baron Group will offer you value for money, and service renowned for its competence and friendliness. The staff are driven by their motto : "nothing is too much trouble" An entrenched ethic that staff members will go to any lengths to satisfy their customers.